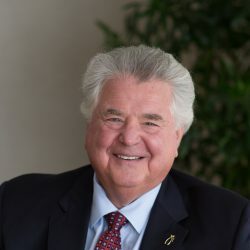 For more than 40 years, Joe has served as legal counsel to domestic and international businesses in the areas of corporate law, mergers and acquisitions, as well as risk analysis and dispute resolution. He has extensive experience in the negotiation and documentation of domestic and international transactions including financing, acquisition, divestiture and mergers. Joe also is experienced and passionate about advising family owned and closely held businesses. He provides advice and counsel in continuity planning and wealth preservation strategies for businesses and their owners. Joe is a longstanding member of the Family Firm Institute (FFI). He continues to participate in an FFI peer study group of other professionals serving family and closely held businesses and has been invited to speak and write on the subject, including writing an award-winning article. He also serves on the board of the Private Director’s Association and is a founding member. He also serves on the Board Governance Committee. Joseph, a founder of his firm, advises family and closely held businesses and owners, domestically and internationally; providing outside general counsel services as requested by his clients. A life-long Chicagoan, Joe graduated law school and founded a respected law firm dedicated to representing clients, not merely handling matters. To give back to the community, Joe volunteers for the Make-A-Wish Foundation. He has served as a Board Member and Chairman of the Board of Make-A-Wish. He is a founding member of the Mastermind Advisory Board, an organization dedicated to providing independent advisory boards to closely held businesses, providing them with their “collective wisdom to ignite their success.” Joe also hosted a series of workshops for the College of Lake County aimed at teaching small business owners various legal aspects of business ownership. Spending time with his family and traveling as time allows takes up his leisure time when he is not golfing.